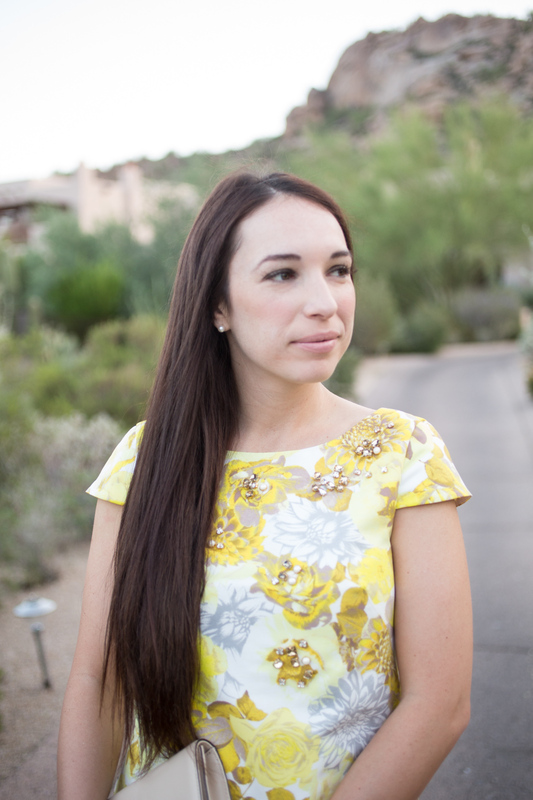 I recently got this yellow floral Eliza J shift dress and have been so excited to wear it! I have always been a big fan of yellow and love when I get wear it! I recently discovered Eliza J Dresses when I was searching for some fun dinner date dresses on Nordstrom. I loved all the fun colors and designs of the dresses! They also have a lot of top/skirt separates that are super cute! When I got the items in the mail from Eliza J, I was super impressed with the high-quality fabrics and fit of the clothing. I have a few more items from them that I can’t wait to share with you in the next few weeks! 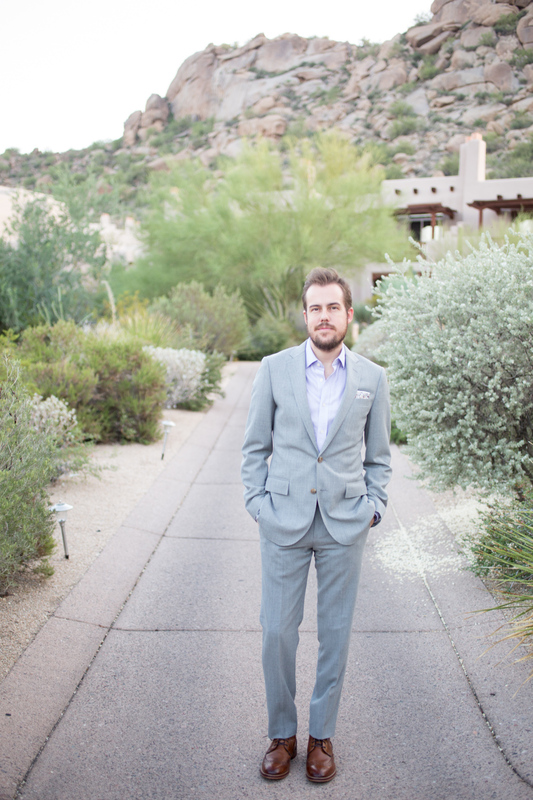 Jake is wearing a Ludlow Suit from Jcrew. You know Jake and his Jcrew… he is obsessed 🙂 He is always a fan of wearing items from there because the fit off the rack is spot on. 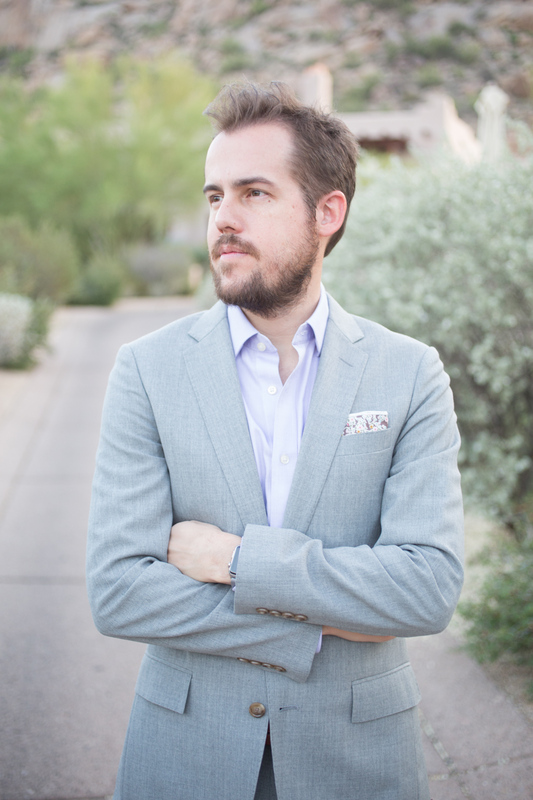 Jake’s pocket square is from Weekend Casual. If you are ever looking for some fun menswear accessories, they have a great selection, great quality, but most of all… a great price point! 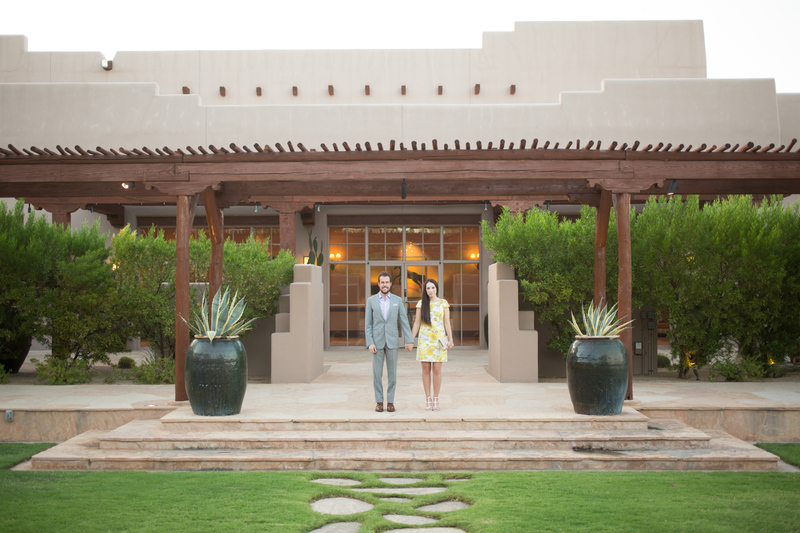 Jake and I wore these date night looks at The Four Seasons Resort Scottsdale at Troon North. We have been loving our time at the Resort! It is so fun to wake up in the mornings and look out the window to the beautiful desert scenery! The thing we have been loving most about the resort is the amazing landscaping. Everywhere you look there is a stunning desert view! P.S. 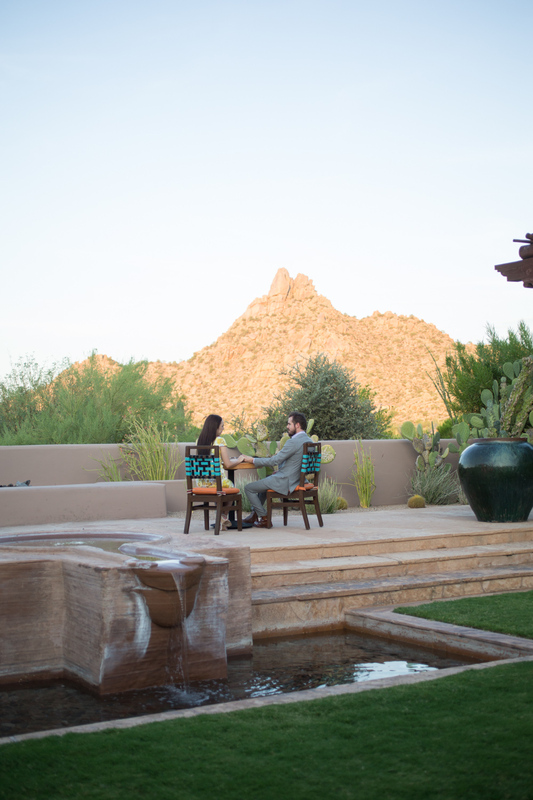 The Four Seasons Resort Scottsdale has some amazing end of summer rates going on right now, check them out here. Everything about these photos is absolutely stunning!! I am so jealous of the setting you are staying in. Love this summer dress on you as well! The color is gorgeous. you two look so cute! I love the pattern on your dress, and his suit is so dapper- I need my husband to get a suit or two from jcrew! You seriously have the best dresses. This one is stunning, too! Love the simple shape and the floral print. that resort looks amazing and your dress is cute! You two look great together, I think yellow and grey is a perfect combination! Loving the floral dress! You are both really cool! Love the combination of the two colors, you two look fabulous! Gorgeous! Love those shoes and the dress is amazing on you. These are some really lovely pictures! amazing place, photos and you! This dress is just beyond AMAZING!!! Its indeed a scenic resort! Nice outfits! Oh gorgeous photos! You both look so stunning! Yellow dresses are my favorite! I love both of your looks and how you match each other! 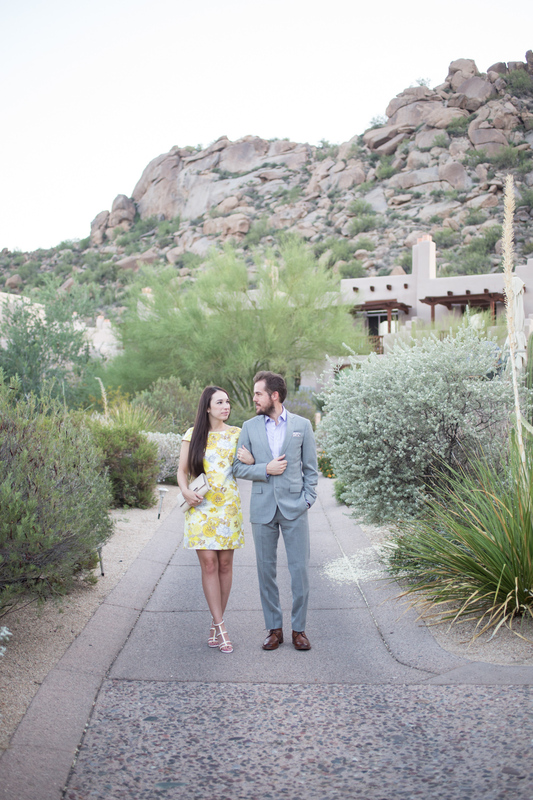 That yellow and grey dress is beautiful, and love the J.Crew suit. My husband is a big fan of J. Crew suits, as they fit so well. Beautiful photos. Love this ladylike dress! Gorgeous! OOh love that yellow dress and those shoes work so well together. Yellow is beautiful on you!